Two female dummies will occupy passenger seats during US spacecraft Orion’s first mission around the Moon. The dummies are equipped with sensors to accurately measure radiation effects on the body. Astronauts may be exposed to this radiation during future interplanetary missions. Flight tests will take place during the NASA’ research mission. The crew with female mannequins will enter to the vicinity of the Moon and return to Earth. Cosmic radiation is a serious threat to human health in space. Far from the magnetic field of the Earth, two sources of radiation pose the greatest risk: galactic cosmic radiation and energetic solar storms. These two sources of radiation can increase the risk of cancer for the crew and become an important limiting factor for future flights to the Moon and Mars. The dummies, named Helga and Zohar, were built to resemble female bodies. The materials used imitate different density of internal organs: bones, soft tissues and lungs. The mannequins are equipped with 5,600 sensors that will measure the level of radiation — galactic cosmic rays (high-energy particles from outside the solar system) and solar radiation. The only difference between the two dummies will be that the Zohar will be wearing a AstroRad radiation jacket designed specifically for flights to the Moon. It is made of polyethylene for better blockage of harmful protons and will cover the upper part of the body, as well as Zohar's uterus. Helga will fly unprotected. Later, scientists will compare the radiation dose that both dummies will receive in order to understand how best to protect future crews. The sensors in dummies are installed in the most sensitive to radiation areas of the body - the lungs, stomach, uterus and bone marrow. While thousands of sensors will register a dose of radiation from the launch and until the return to Earth, a set of 16 active detectors will display a dose of radiation on the skin of both mannequins and in their internal organs during flight. On Earth, similar dummies are used in hospitals to quantify the correct dose of radiation for cancer treatment. From 2004 to 2011, a German mannequin named Rendo has measured radiation levels onboard and on the external surface of the Russian segment of the International Space Station as part of the international Matreshka-R experiment. Helga and Zohar are currently located in Cologne, Germany. There, engineers are working on a prototype to safely attach them to the passenger seats of the Orion capsule, and prepare radiation detectors for flight. 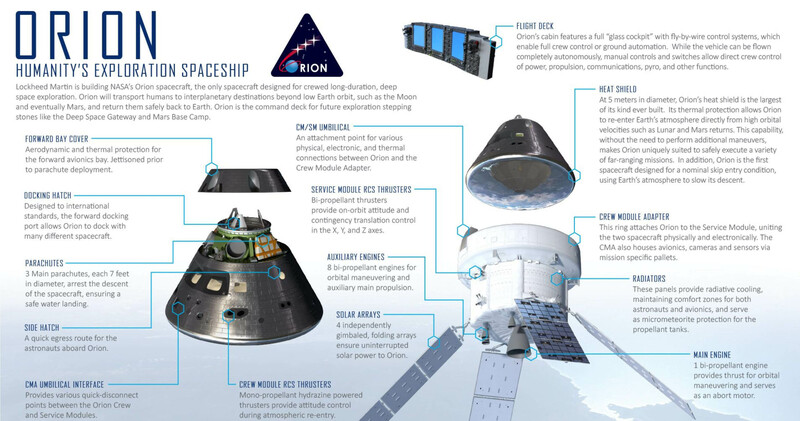 Orion spacecraft’s flight around the Moon is planned for June 2020.